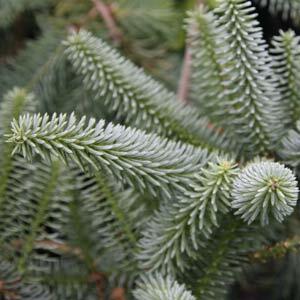 Abies are an evergreen conifer, commonly called ‘Firs’. A number of species are widely grown from large trees to low growing ground cover plants. Abies pendula is perhaps the best of the specimen trees for landscaping, good soft weeping foliage in a very attractive tree. Other species have attractive peeling bark and many have prominent cones in spring to summer which add interest. A favourite in the landscaping industry. Abies make great specimen trees and useful in a wide range of situations. Once established Abies are a tough species. Weeping varieties are most attractive. Dwarf forms are also available. Includes Dwarf Grafted Forms: Abies balsamea Verkades Prostrate, cephalonica Meyers Dwarf, koreana Tundra, pinsapo Horstmann, procera.